Don’t get stuck in yesterday. Your past achievements are just that, the past. It is only natural, that when we find something that works, we want to keep doing it forever. The only problem is, some solutions were for a specific period of time and not meant to be used forever. Life is full of change and in order to keep pace, we must sometimes change as well. Successful companies know this to be true, which explains why, every few years, they refresh themselves. The may take a new form of their name, upgrade their builds, revamp their products or change the way they do business. Leaders of successful companies know that to stay relevant, change is a part of the equation. For example, most, if not all, brick and mortar stores also have an online presence. This is so because today, unlike 15 years ago, more and more people shop online for some of their needs. Almost all sellers except a credit or debit card as payment instead of only cash or checks. Sellers who do not make changes to reflect the new demands, loss customers and risk going out of business. Like wise, what worked for you, on your journey to achieving your goals in the past may not now. If you want the next promotion, you may need to increase your knowledge, make new affiliations, or change your location. As an entrepreneur, if you want to increase your revenue, you may need to add a new product line, repackage an existing product, or change your marketing, just to name a few. The changes you make should be in line with the ultimate goals you wish to achieve. If you keep doing the same things, you will get the same results. Not all change is bad, getting stuck in the comfort of yesterday at the detriment of your future, that is bad. A well thought out and prepared business plan is the most valuable tool a business owner can have, especially a new one. The business plan also called a feasibility plan for a new business (because new business is researching the potential product to determine if it would be viable) is your road map. Your business plan will keep you on track as you implement the strategies you developed and evaluate the results to determine if any changes are needed. Success is not guaranteed to anyone but it is attainable to anyone willing to do the needed work. As you plan your business, ask yourself the following question, “What will happen to my small business if I an unable to participate in it due to illness or some other event & I am the only employee?” At this point, I’d like to relate a story. While on a vacation, I was walking in a shopping area and came upon a book store and I wanted to go inside and look around. When I got to the door, I was meet by the following sign “Sorry, closed due to illness”. Unfortunately, this owner did not have a plan in place for this and as a result, who knows how much revenue was lost. To compound the situation, the fixed costs of rent and utilities were still being incurred. What if the sign read instead “Sorry, closed due to illness, but please visit our website. Planning Makes A Difference!! The best time to plan for your business is at the beginning, but if you didn’t don’t lose heart, it is never too late to develop and implement a good business plan. 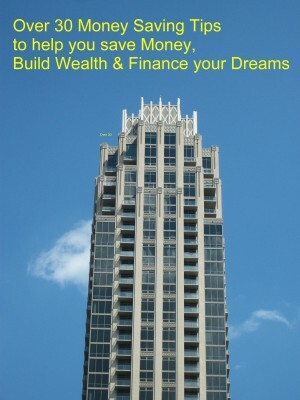 Developing the plan after you have started has benefits because now you have real world experience and numbers to use. Planning, starting and running a business is not easy but with the right information and tools it can be successful. Visit our “Business Tools/Products” for products to assist you on your entrepreneurial journey. Like “Writing a business plan” “Small Business Tips” & more. You Found Your Purpose, Now What! It is time to plan, plan, plan. Discovering your reason for being can be overwhelming and exciting at the same time. Having a plan helps to keep you focused and is your guide when decisions have to be made. Each decision will be evaluated against the big picture-outlined in your plan, to determine if the option will aid in the achievement of the ultimate goal or will it hinder it. Whether it is a vision/purpose for your business or your personal life, a plan is a helpful tool. For a business, you would create a business plan & for your personal life, you wold create a vision board. The plan should list the smaller goals you wish to achieve on your journey to attaining your life’s purpose. For me a vision for your life or your business is equal to the purpose for you or your business. A goal is the smaller step needed to achieve your purpose. Setting goals helps make attaining you purpose more manageable. So how do you develop a plan you may ask? Examine your vision/purpose and ask yourself what are the steps needed to get there. Once you determine the steps, you now have your goals. For each step/goal, develop an action plan for achieving it. For example, if you want to get healthy, and then help others to do the same, your first goal may be to find a program that works for you. If you could not find one then you may consider developing one based on your current knowledge. Once you have the program, your next step/goal would be to work it until you became healthy. After reaching your goal of being healthy, next goal would be to develop a program to help others. A vision board is a great tool to help motivate & keep you on your journey. Putting your goals & visions/purpose to paper, in some form, makes it more likely to be achieved. Please keep in mind that along your journey to realizing your purpose, you may need to re-examine your goals & make any needed adjustments to ensure they are moving you in the direction you want. Sign up to be on our email list to receive free information to help you find and achieve your purpose. Checkout our Products for information to aid you in achieving your goals- click here.